Hello! My name is Emilio (aka) Eshwar, i'm a graphic designer from Italy, i love to master a lot of different styles (vector, 3d, generative, handmade, photomanipulation), also work in different sectors (editorial, infographics, ui, branding, more...). I hope my portfolio is fun and good - http://www.behance.net/eshwar --- add me! Yoann Lemoine (born 16 May 1983) is a French music video director, graphic designer, and musician. His most notable works include his music video direction for Katy Perry's "Teenage Dream", Taylor Swift's single "Back to December", Lana Del Rey's 'Born to Die" and Mystery Jets' "Dreaming of Another World". 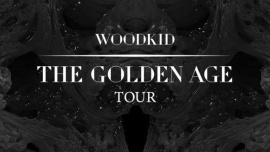 Lemoine is also an alternative indie musician, going by the stage name Woodkid. On March 28, 2011, Woodkid released his first EP Iron EP. Woodkid released the Iron EP on March 28, 2011. For the music video for the single "Iron". The song was featured in trailers for Ubisoft's Assassin's Creed: Revelations and the film Hitchcock, as well as the movie Django Unchained, and the TV series Teen Wolf. On December 15, 2012, Lemoine announced the beginning of his debut album recordings on his Facebook account. The album was named The Golden Age. Lemoine has confirmed several track titles for the album on his Twitter page, including; "Run Boy Run" (also the first single for the album), "Whispers", "Brooklyn", "The Golden Age", "Stabat Mater", "The Shore" & "Ghost Lights". It will be released on March 18, 2013 through independent label, Green United Music. Mixing some images and words from all videos, in a semi-realistic way. Simple shapes and texture, for simplify the thing of The Golden Age, making some steampunk///mediaval mood, using only 2-3 color, inspiration from infographic icons. Hello Dkng! I need some Help and Feedback! What do you think of the whole process, would you change something, you have any suggestions? Thank you for watch and feedbacks! Stay Tuned!